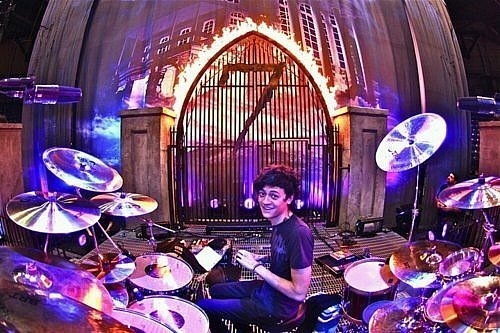 Arin Ilejay was recently interviewed by Rolling Stone, you can read some excerpts below. 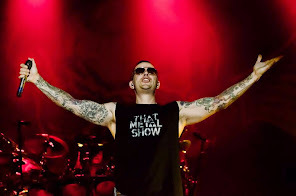 Ilejay said that he was dismissed from Avenged Sevenfold over the phone. "I was totally shocked and scared out of my mind when Synyster Gates called me to let me go. I was like, 'Oh my God! My wife is about to have a baby. How am I going to support my family now?'" Ilejay quickly moved on to a gig in Islander, which reached out to the drummer after learning of his departure from Avenged Sevenfold online. Islander vocalist Mikey Carvajal said: "I used to joke around with him all the time: 'Hey, whenever we need a fill-in drummer, I'm gonna call you'. Finally, I called him and I wasn't joking at all. I said, 'You have to come play with us.'" Although he initially faced the new milestone in his life with a sense of trepidation, Ilejay was excited about the prospect of being involved in the creative process with Islander: "I realized if I joined Islander, I would have an opportunity to help write songs and build something, instead of being on the inside but, at the same time, really be on the outside the way I was with Avenged."